It would be something of a miracle if Real Madrid can pull off the signing of Neymar from Paris Saint-Germain this summer, and the noises emanating out of the player’s camp remain positive. Despite Zinedine Zidane’s exit from the dugout, the work never stops at Estadio Santiago Bernabeu in preparing for next season and capturing the Brazilian forward is still the number one priority across the club. The fact is that Real would have to convince PSG to sell their star man and Neymar himself can play a big part in that, with the messages from his entourage to the club consistently maintaining his desire to return to LaLiga. It is understood that a club emissary is in constant communication with those around the player, and what was considered impossible two months ago is now something both parties believe in, thanks to their willingness to pull the deal off. 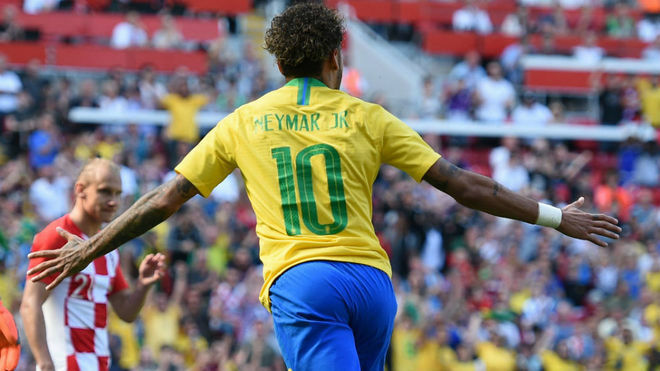 Ultimately, Neymar will at some point have to make his intentions known to PSG chairman Nasser Al Khelaifi and that would begin the delicate process of negotiating with Les Parisiens, an event that Real Madrid feel prepared for. Meanwhile, the Cristiano Ronaldo saga rolls on in the background with Los Merengues content that the futures of the two attackers are not intertwined. Inside Real, they are confident that the players can coexist in the Spanish capital and there is a sense that the shockwave caused by Ronaldo’s Kiev comments decreases with each passing day.